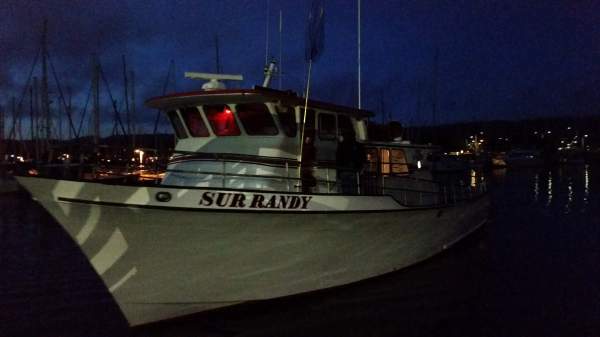 fished with troy and his firefighter crew aboard the sur randy yesterday, tough fishing conditions just outside the point, got a pair of ling cod, a nice quality copper, a vermillion and a canary for the day. 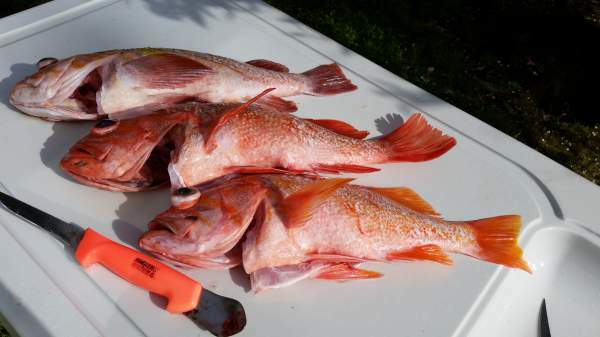 cleaned the fish at home, bagged the ling filets, and dropped the rockfish over at the neighbor's house, cleaned up and headed over with the wife for dinner with jeff and jenny next door. it's nice having a pair of four star chefs living next door to you! Nice Alan !! 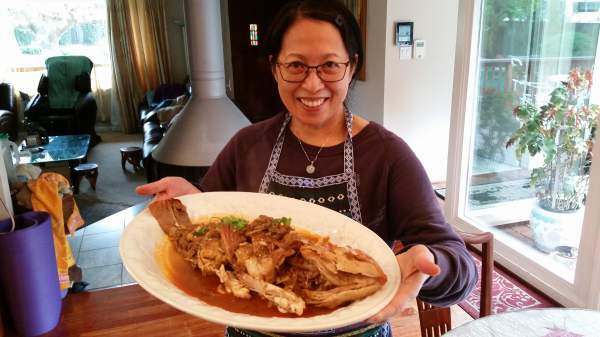 I love steaming whole rockfish .................. great eats with nothing wasted !! That's great that you are getting in your fair share of fishing this year Alan. We were lucky to get our Morro Bay trip in when we did because it's been blowing here for the past couple of days and the forecast is for another week of unfishable weather. 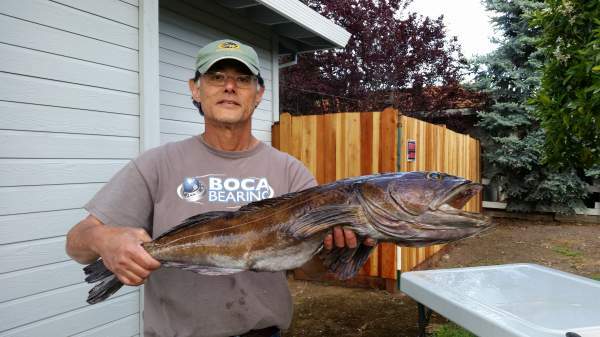 Nice ling cod! Here they call those "steamer" Reds, man those look good. Way to put together a day in less than Ideal condition! That is one cooking technique that I have always wanted to learn. One more thing to research.